The Russian fascist Rodina (Motherland) party that was founded by Russia's current Deputy Prime Minister Dmitry Rogozin is organising a large conference titled "International Russian Conservative Forum" (IRCF) to be held in St. Petersburg on 22 March 2015. 2. Freedom Party of Austria (Freiheitliche Partei Österreichs, FPÖ), Austria. 3. Serbian Radical Party (Srpska radikalna stranka), Serbia. 4. Alliance for Peace and Freedom (APF). 1. New Force (Forza Nuova), Italy. 2. National Democratic Party of Germany (Nationaldemokratische Partei Deutschlands, NPD), Germany. 3. Party of the Swedes (Svenskarnas parti), Sweden. 4. Golden Dawn (Chrysí Avgí), Greece. 5. National Democracy (Democracia Nacional), Spain. 7. Danish Party (Danskernes Parti), Denmark. The exact composition of the AFP delegation to the IRCF is unknown at the moment, but the following representatives seem to be confirmed: Nick Griffin, Roberto Fiore of the Forza Nuova, Udo Voigt of the NPD, Eleftherios Sinadinos and George Epitidios of the Golden Dawn. The IRCF has almost a year-long history. It was first planned to be held on 15 March 2014, under the name "Russian National Forum against Tolerance", but due to the annexation of Crimea and the start of the Russian invasion of Ukraine, the organisers decided to postpone the conference to 3-4 October (under the name "Russian National Forum"), then to 7-9 November 2014. Eventually, the organisers settled the final date: 22 March 2015, i.e. only one day instead of 2-3 days that they planned for October and November - this change apparently indicates the organisers failed to invite as many participants as they originally wanted. The prospective participation of the FPÖ in the IRCF raises eyebrows. The FPÖ is clearly on the far right - it is a radical right-wing party - but all the other participants of the IRCF, including the Russian organiser (Rodina) are explicit fascists and neo-Nazis. 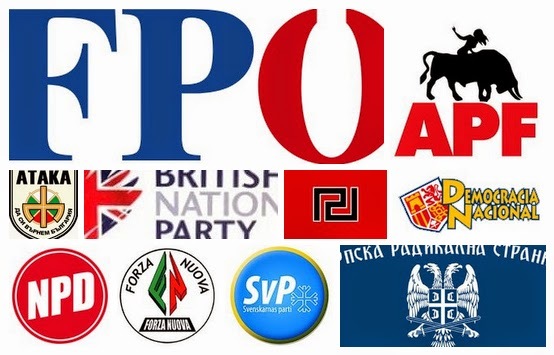 Moreover, a number of European parties eventually refused to take part in this Russian fascist event, in particular the Swiss People's Party (Switzerland), Scottish National Party (UK), Identitarian Bloc (France), National Front (France), and Jobbik (Hungary). None of these parties wanted to fraternise with the European and Russian fascists. What is behind the FPÖ's ideological promiscuity? I believe the answer is clear: the FPÖ is struggling to repeat the "success story" of the French Front National that has secured a multimillion loan from a Russian bank in 2014. To remind the readers, according the available information, these were former leaders of the Rodina party - namely Alexander Babakov and Dmitry Rogozin - who played a significant role in assisting Front National's Marine Le Pen in getting that multimillion loan. Hence, if the FPÖ wants the same, it now must obediently stooge for the Rodina party and the Kremlin. High rhetoric about sovereignty? Obviously not when the money is involved! More evidence emerged on Tuesday (10 March) strongly indicating that FPÖ's Gudenus had been planning to participate in the IRCF. 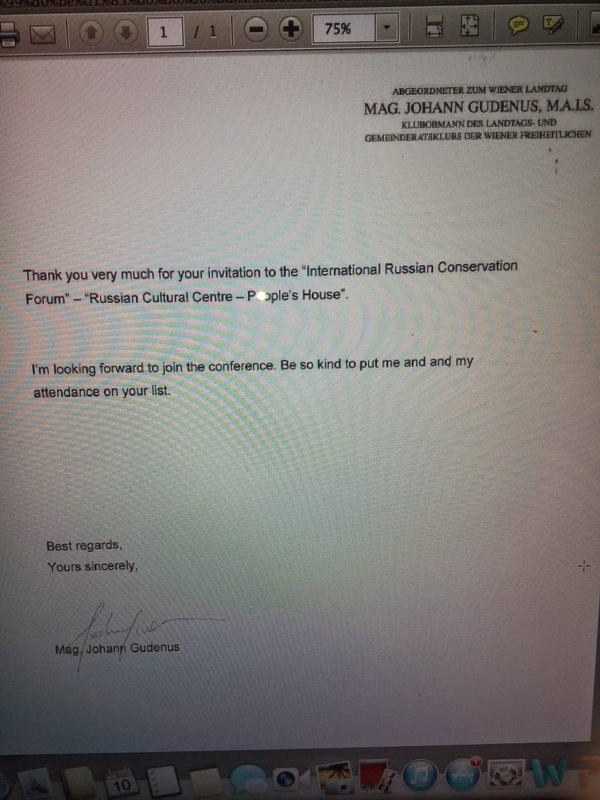 Alexander Fanta, a journalist of Austria Presse Agentur (APA), published a screenshot of Gudenus' letter in which the latter thanked for the invitation to the IRCF, said he was "looking forward to join the conference", and asked to put him and his attendance on the organisers' list. Following Gudenus' cancellation of his participation in the conference, the Serbian Radical Party also decided not to take part in the event. At the same time, the Lombardy-Russia Cultural Association established by the Italian far right Lega Nord will participate in the forum. Two American racists – Jared Taylor, the founder and editor of American Renaissance, and Nathan Smith of the Texas Nationalist Movement – are also expected at the IRCF. The conference will be chaired the head of the Rodina party Aleksey Zhuravlyov who is also Russian MP and a member of the pro-Putin United Russia parliamentary group. The Russian side will also be represented by a member of the Federation Council Igor Morozov, president of the social-patriotic club “Stalingrad” Fyodor Biryukov, and some other political figures. 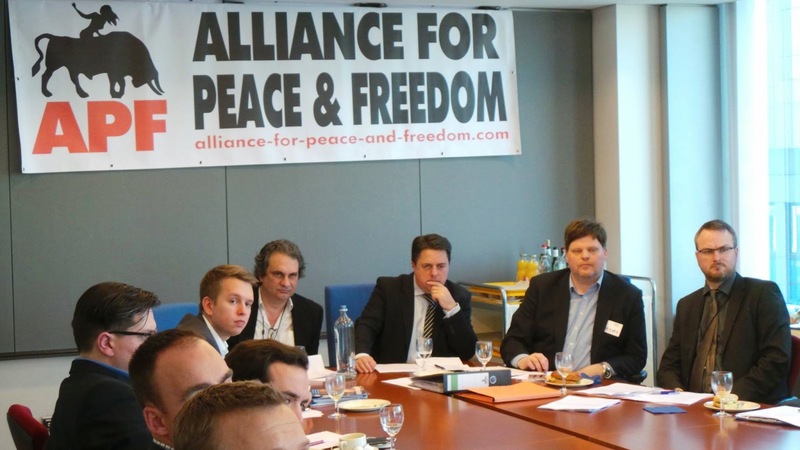 Actually, the 'APF' was founded in Brussels in the facilities of the EP. Besides the focus on pro-Russian advocacy, there is a strong focus on the support of Golden Dawn. I would identify GD as the central engine behind this initiative since it intensified international collaboration recently facing trials and their leadership behind bars and aiming to attract international support to initiate a kind of boomerang pattern. The constellation of AFP shows beyond this official advocacy network that there are further militants from different countries integrated (such as Alexandre Gabriac) who are befriended with and strongly influenced by GD. You are correct: it was Brussels indeed. I will edit the post accordingly. Serbian Radical Party refused to take part? I can't understand it - of all possible participants they are probably the only ones who are genuinely pro-Russian. Could you think of a possible explanation? Because it's too much, even for the SRP. Thats just a show for the right people to see. The real action is happening all over Europe on an industrial scale. Sneaky and thinking 2 steps ahead? We got that too...and then some. Poor JEWlluminists...thinking they would turn sacred Ukraine into an "Israel 2". It made us laugh. "From Lisbon to Vladivostok...and no Jews allowed." A step away from the mainstream right and towards very bad graphic design... The NPD logo looks like a discount superstore. Never has seen anything remotely fascist from D.Rogozin. Proof, please. As for the youth group, here is their site, No swastikas, no anti-semitic rants. On the other site I have seen ugly Misantropic Division. They are fascists. And they LOVE Ukrainian fascists! I would chose the "Rodina" kids anytime! This is a phony attempt by the KGB to seize control of nationalism in Europe after the collapse of cultural-Marxist liberalism and impose a continuance of Judaeo-democracy. It secures the role of international Jewish finance and the presence of the genociding, morally corrupting, power and money-grabbing Jews in Europe whom we wish to expel and the ongoing miscegenation and birth rates genocide of the white race through the presence of vast hordes of 3rd worlders imported by the liberal regimes. Invaders who we wish to expel. The very fact that Nick Griffin; a corrupt, failed nationalist politician despised by nationalists in Britain is taking part shows that this is an attempt by Russia to override the wishes of the youth of Europe and impose a counter-revolutionary version of the old status-quo. This is an unwarranted interference in our continent whose revolutionary youth are increasingly National Social. Europe of the future rejects the modern Marxism-Noveau of Russia where nationalist political prisoners are piling up in the jails alongside deniers of the Holohoax. We reject all such arrogant and criminal interference in our coming revolution be it from Sovietic KGB Russia or CIA America. We know who we are as a people, we know what our civilisation is and what needs to be done to repair and restore it. We reject outside interference in our affairs by this shoddy KGB political usury. We will decide not Russia which groups are acceptable and which are not. We have no quarrel with Russia or America and believe in the right of nations to conduct their own affairs. As indigenous nationalists we reject all such geo-political gaming of power-blocs in our affairs of which this project is a clear and blatant example.